Made to satisfy the old school tendencies while providing the ability to run reasonable RPM’s at highway speeds. Panhead and Shovelhead riders will love the ability to ride hard with their friends on late model bikes. 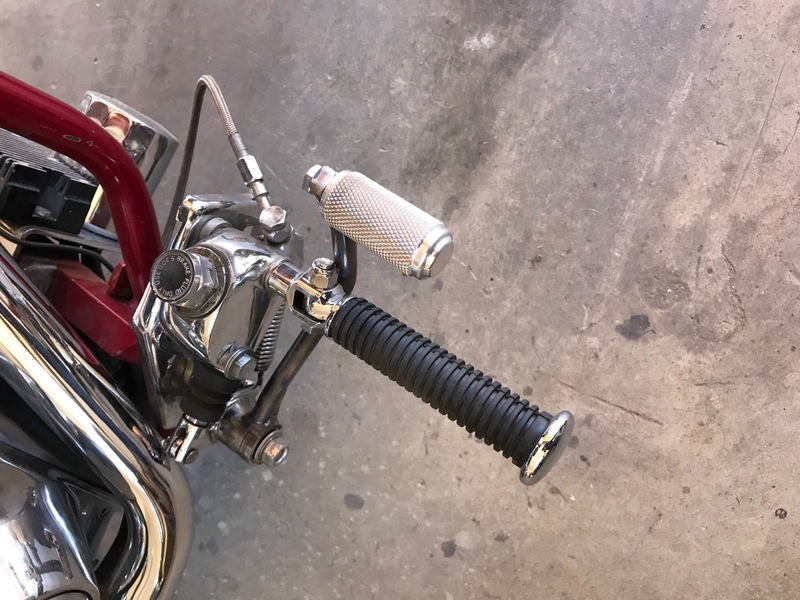 See how the 6-into-4 was exemplified as the archetypal motorcycle transmission and used as a focal point for the How It's Made television show on the Discovery Channel. Case: The 6-Into-4 Transmission case comes in two different versions. Our 1936-64 case has no ear, to work with the factory primary. Our 1965-1986 version includes the primary ear bosses. These can be used with stock primary applications, belt drive applications, or running no primary plate at all. 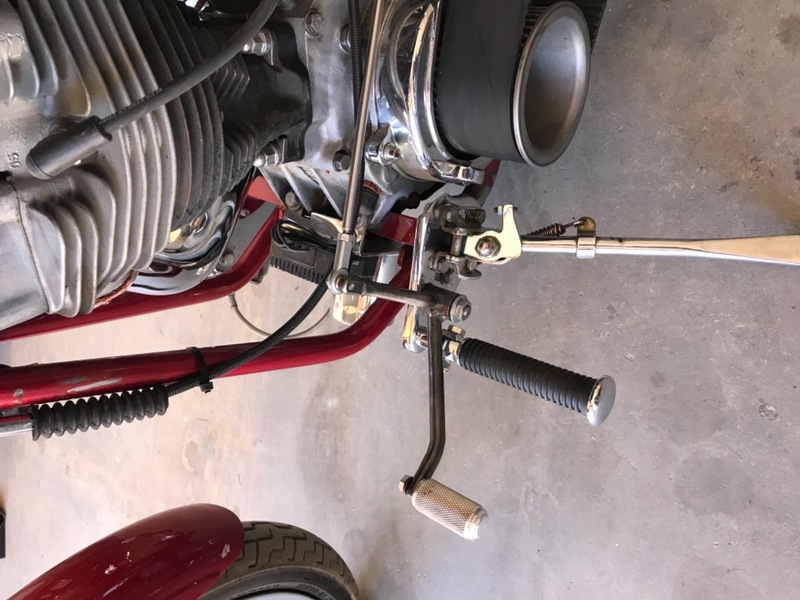 For the 1936-1964 Tapered Mainshaft applications, please note that the 6-into-4 case does not contain an alignment track or a provision for the primary adjustment bolt that you would normally find on a stock case. 1st Gear Ratio: The 2.94 1st gear ratio fits 1936-1986 FL & FX models. This gear ratio is an all around good ratio. The optional 3.24 1st gear ratio fits 1936-1986 FL & FX models and is recommended for heavy GVW applications. The R-Ratio 2.82 1st gear is for 1936-1986 FL & FX models and is recommended for light hot rods. 2nd Gear Ratio: We recommend a 2.21 2nd gear ratio for the 2.94 and 3.24 1st gear ratios. The 2.08 2nd gear is normally paired with the 2.82 1st gear for racing applications. If you would like a personalized 2nd gear pairing, please contact us through the website chat, email us at info@bakerdrivetrain.com, or call us Monday-Friday 8AM-7PM EST/EDT at 517-339-3835. **For 1936-1964 Tapered Mainshaft applications, please note that the 6-into-4 case does not contain an alignment track or a provision for the primary adjustment bolt that you would normally find on a stock case. All 6-into-4 case options come with a machined in 5th stud. We took the weakest point on other aftermarket transmissions and made it into the strongest point on ours. The 5th stud commonly breaks out of its bolted on plate causing your driveline to tweak in the chassis. The 6-Into-4 Transmission case comes in two different versions. Our 1936-64 case is a no ear case to work with the factory primary. Our 1965-1986 version comes with the primary ear bosses on it. These can be used with stock primary applications, belt drive applications, or running no primary plate at all. We do recommend the use of our bearing support for this application, BAKER PN 6-4SSP-A. Both cases have a provision for an electronic speedometer.The electronic speedometer would utilize a stock 1996-2006 speed sensor, PN 74437-96.Pending what type of electronic speedometer you use, an additional speedometer recalibration box might have to be purchased, BAKER PN 95E-56B. The BAKER 6-into-4 case does not have a gear drive speedometer cable provision on the case. Late 1984-1986 length mainshaft. Diaphragm type wet clutch. 1970-Early 1984 length mainshaft. Shovelhead mainshaft. 1970-Early 1984 Splined mainshaft. Shovelhead splined mainshaft. 1936-1964 length mainshaft. Knuckle/Panhead mainshaft. Kicker Gears All BAKER 4-Speeds come standard with our Klassic Kicker Gears. Made out of 1018 HR Steel, tumble finished to around a 20 micro and heat treated to 50-55 RC; these gears roll smooth as glass. We manufacture and offer 6 different kicker covers making the 6-into-4 completely customizable from stock to custom build. 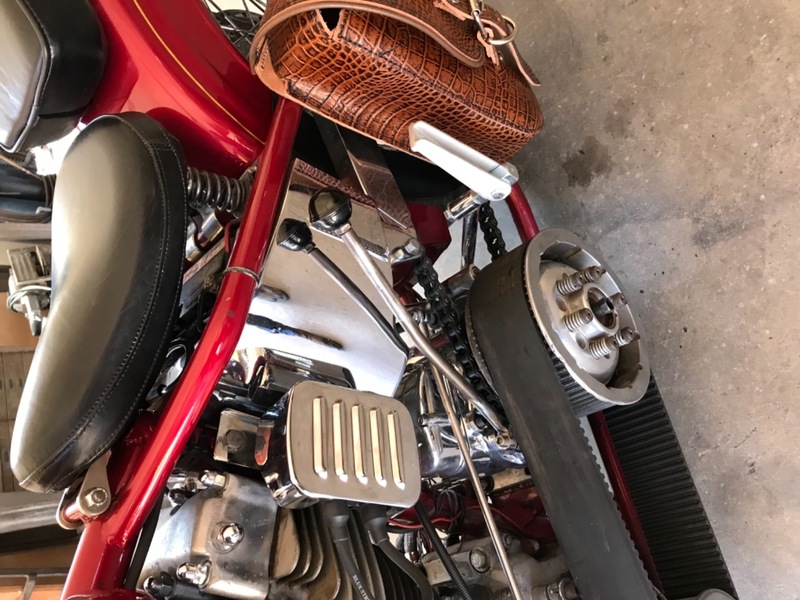 Our kicker covers come in different finishes ranging from the standard chrome cover to the raw replica cover to the show polished Function Form Hydraulic cover. To see the full line of kicker covers available Click Here. Depending on the choice of cover and finish, additional charges may apply. The 6-into-4 comes standard with a single pole neutral switch top cover with our hidden vent. 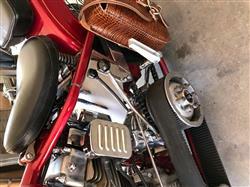 The transmission can be ordered with our no-neutral top cover. Sprocket: 23 Tooth Chain sprocket standard. Specify optional 24 Tooth Chain sprocket by adding -24 suffix or -33 for Belt Pulley – 6-into-4 has 2 more gears than a 4-speed and sticks out 1.6” more. Rear exhaust pipe, oil tank brackets, and starter brackets may have to be modified for fitment. – Electric speed sensor provision in case accepts stock 1994-up speed sensors. – Some 1970s inner primaries may require modification for sprocket nut clearance. With the factory exhaust not fitting in most cases, an exhaust company took charge. Click on the link below to check out aftermarket exhausts that will fit your 6-into-4. Recommended Fluid / Level Picking the right transmission fluid ensures the life and durability of your transmission, that’s why BAKER recommends a fully synthetic GL-5 rated gear weight oil of 75W-140. If a GL-5 rated gear lube is not available, these commonly carried viscosities (weights) will work: 75W-90, 75W-140 and 85W-140. BAKER does not recommend the use of Syn3 (20W-50).